* 76.8% of people listen to podcasts for more than 7 hours each week. * 61.2% of respondents spend more time listening to podcasts than watching TV. * 48.8% of respondents said they purchased an item after hearing it advertised on a podcast. * 57.4% of podcasters list marketing and building an audience among their top challenges. You’re a podcaster. But there’s another name for what you are: a storyteller. So when it comes to marketing your show, think of it as telling the story of your podcast. Use these tips and best practices to help get the word out, so your show can find listeners everywhere. FreeCircle Hi guys, I love the name of your show! I feel it gives you an authority like feeling in the business. Gives me that feeling you know what you are talking about. The name got me hooked. Great job to the both of you we learn a lot. Thanks. how open-minded are you really to this stuff? 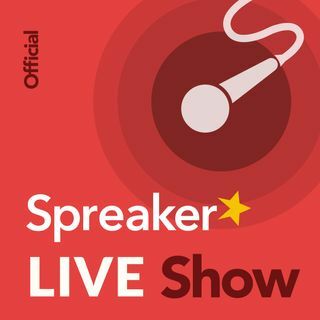 Does it have to be spreaker studio? Theres a super easy way to do this stuff. Take calls. Have the callers talk to your skype guest. Talk to them during break. Have them hear the music OR not if you dont want. Screen calls, Have a cue. NO PIN CODES..run a pro show with ALL FREE SOFTWARE. If your open minded to it I can def show you how. I changed my profile picture. Does that show in your RSS feed on I-Tunes? It is showing on Spotify and Player.fm. I got so many of those scam promoters on SoundCloud that I left SoundCloud. The problem I find with Zoom is it works well while you are live, but if you record it, it often chops and speeds up your audio. Skype is best so far I think. Google Hang Outs has been a problem for me in the past. Would you mind sharing the website to get that app? Good to know, I'm going to have to look into it. Does it work alongside the spreaker desktop while doing a live show? While you are playing around with trying to get call ins to work seamlessly, it would be great if you could also sort out how to get someone who is called into the show to hear songs and other audio clips that you play through the Spreaker desktop. Thanks for listening LIVE today!